Native. 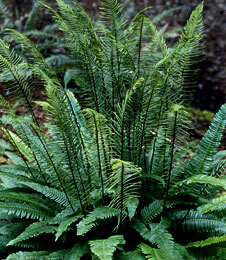 Handsome, upright lance-shaped fronds and compact habit. Superb for the woodland or shade garden.